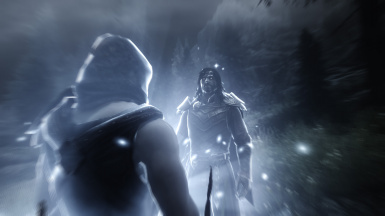 Now available for Skyrim Special Edition on the Nexus, Beth.net for PC and Beth.net for Xbox! This is really one of the best mods I've ever seen! Enai, you should be paid by Bethesda!!! 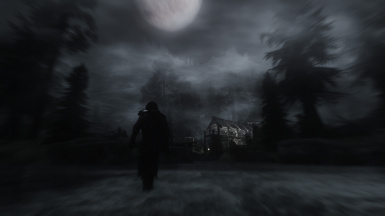 I can't imagine playing Skyrim without all of your mods installed! I'm going to sign up just to donate! Sorry, I clicked on the wrong comment tab! Delete this if you like and I'll post it again as an individual comment. 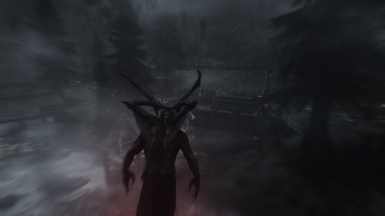 krakers251's download history for "Sacrosanct - Vampires of Skyrim"
Someone downloaded from the SSE page and is complaining that his LE Skyrm doesn't work. lol. 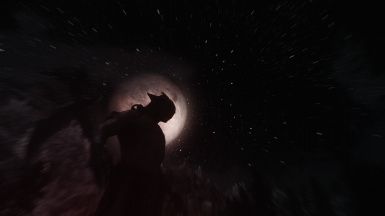 I was literally right on the verge of making a post about that same issue when I realized I was on the SSE edition. MAJOR DUMB , can confirm. Build discussion? There is now an /r/EnaiRim subreddit. You should ask for help on the modpage of the mod that allows you to become a hybrid, because it's that mod who is causing the problem. been getting PlayerVampireQuestScript errors lately. That's unfortunate. Maybe as your next step, you should read the errors. Just asking, is my face SUPPOSED to look like I just crawled out of the moldiest corner of hell? Because it does. Edit: seems, that using a character preset is very much not a good idea... I see the problem was on my end. I apologize. 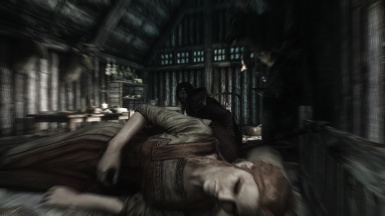 This mod does not modify races, including racial visuals. Does anyone know if this works well with Realistic Needs and Diseases 2.0 (specifically the weight loss feature)? If so, which should come first in my load order? 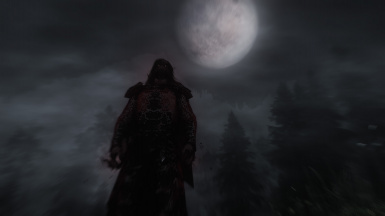 This mod really makes being a vampire way more fun then in vanilla game, thanks a lot! 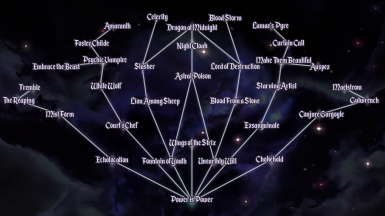 But i'm little confused about Potence(one of the Blue Blood abilities), it only grants melee damage, and is always increased to 30% unless blood starved. Has anyone mentioned this problem before? Test with only 3 DLCs, SkyUI and USLEEP. 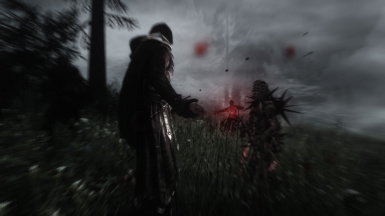 The damage sticking is in the bug list (SSE so I don't have to duplicate it). Damage is only for attacks. Spells don't do damage. 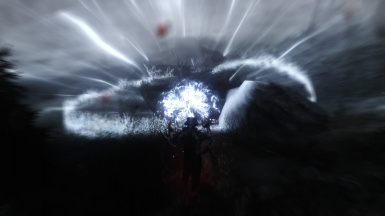 Sorry for asking about a known bug, didn't realize there is a bug list in SSE. Thank you for all your awesome mods and friendly help! SORRY! To clarify! 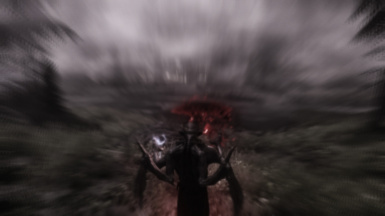 I am a f***ing Idiot and have been trying to run normal Skyrim Sacro! Must have accidentally gotten the non SE version. Please Disregard my post as I am apparently not sound of mind. 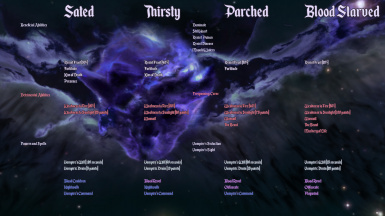 This is the LE Skyrim page. 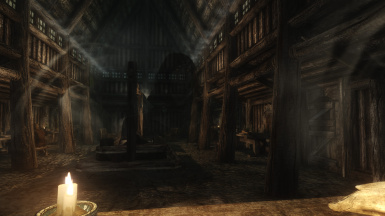 You downloaded the mod from the LE Skyrim page when you have SSE. Any way to feed without killing? Already read through the power lists. Yes, unless you are too hungry and have the debuff that prevents this. Just posting to say I really admire all the mods you have made, as well as how you are constantly helping people with mod issues or queries.